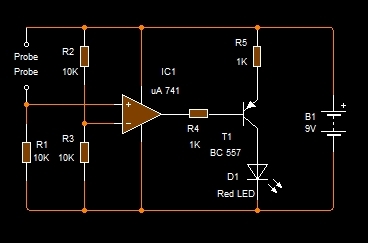 This simple circuit tells you whether your Interior plant requires water or not. When the soil dry up, the Red LED lights to inform you that, the plant needs water. So this saves the life of your valuable interior plants.